The latest games are posted here! 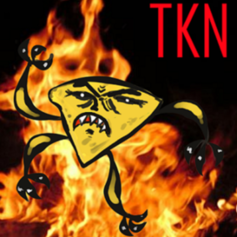 Welcome to the main thread of the Nacho Simulation Football League (or NSFL for short)! This is a Sim league that uses my custom American Football simulation engine, and posts games in play-by-plays viewable on Youtube, with Game Stats listed on the Video description. The league runs bi-annually, a Winter season (after the Super Bowl) and a Summer season (after the NFL draft) using a keeper system. Teams compete for the highly esteemed Quacamole trophy each season. Wednesday, January 23rd: Deadline for previous owners to renew interest in the league. Failure to do so by this date by posting in the main thread will cause a replacement owner to be found in your place. Wednesday, January 30th: Deadline owners to submit their Keeper Tags. All keepers will be processed on this date, so keeper tags must be in before this date. Wednesday, February 6th: Season 17's draft begins. As this is a winter season, incoming rookies are not eligible, but all players and coaches from the previous NFL season are. All former-owners must re-register to renew their interest for this season. For those who are not past owners, you may still ask to join the league, however I will put you on a waiting list. When and if a GM decides to not renew interest or becomes idle, you will be contacted. You must remain an active FootballsFuture member in order to remain on the waiting list. I will remove inactive users from this list periodically. Teams will play each other team in their division twice. Teams will play four teams in the other division of their own conference. Teams will play four teams of a division in the other conference. Games will be simulated on “Game Day”, which is every three days after the draft. I will provide links to Youtube videos with the complete Play-By-Plays, as well as text play-by-plays on Google Docs. *This tie-breaker can still apply for a tie featuring more than 2 teams using the transitive property... If one team has head-to-head wins against all of the others, that team comes first in the tiebreaker. And if one team has head-to-head losses against all of the others, that team comes last in the tiebreaker. Also if Team A beat Team B, who beat Team C but Team C and A didn't play, Team A wins the tiebreaker and Team C comes in last in it. Division tiebreakers are applied first. Then with wildcard tiebreakers featuring 3 or more teams, only the teams highest in the division not currently in the playoffs are considered, since under no circumstances can a team make the playoffs over a team higher in their division. A team can schedule a maximum of two pre-season games, which must be against different opponents. These games can start being scheduled when a season's main thread is first created. A game is scheduled by both owners agreeing to it in the main thread, including which team will be the home team. Alternately, a game can take place on a neutral field. If taking place on a neutral field, the owners can optionally specify the stadium's data (see Stadium Settings, below). If none is specified, the game will take place in an average Dome stadium. Alternately, a team may schedule an exhibition game against any NFL team. Only one of their pre-season games can be against an NFL team, and the NFL team is always the home team. This type of pre-season game can be canceled at any time to make room for an owner-vs-owner matchup. A single NFL team may only play host to one team in the preseason, which means if someone already schedules a match with a team, they can't play anyone else. Once a game is scheduled, it can only be canceled by both owners agreeing to cancel it on the main thread. For each exhibition scheduled, each owner can PM me a starting roster and simulation settings they want to use for the game. This will not affect your actual regular-season starting lineup or simulation settings in any way. If no experimental settings are specified, the team's default settings and roster will be used. These settings will not be revealed until after the exhibition games are posted. These games will not count in any way (practice squad players can be started without affecting their keeper status). All exhibition games will be posted in the same "Game Day", which will be two days prior to Week 1. Owners can submit a ballot with three selections at every position (including Returner), for each conference. Your first selection will receive 3 votes, your second selection will be worth 2 votes, and the last will be worth 1. After the voting period, the final tallies will be posted. In the event of a tie, a random number generator to determine who gets in. On even seasons, Cheesy runs a 4-3 defense and Salsa runs a 3-4 defense. On odd seasons, Cheesy runs a 3-4 defense and Salsa runs a 4-3 defense. The Head Coach for each conference will be the coach of that conference's highest seeded team. The Coordinators will be the coordinators of the team with the best yardage statistics of Offense, Defense, and Special Teams. At total, a roster has 26 players and 4 coaches. This roster includes: one Quarterback, two Runningbacks, one Fullback, one Tight End, two Offensive tackles, two Offensive guards, one Center, three Wide Receivers, two Defenisve ends, one/two Defensive tackles, one/two Inside linebackers, two Outside linebackers, two Cornerbacks, one Free safety, one Strong safety, one Kicker, and one Punter. Teams also draft four coaches: A Head Coach, an Offensive Coordinator, a Defensive Coordinator, and a Special Teams Coordinator. Coaches can give bonuses to certain positions. In addition to starters, teams may keep an five-player or coach Practice Squad that gives you exclusive rights to that player/coach, even if you do not start them. Players can be started at any position but its recommended you start them at their listed position or a similar position. Players do not get injured in this league, so you do not need to worry about that. Trade Players, Draft choices, and/or Keeper tags to another Team. Both Teams involved must agree by either posting on the main thread (please mention me when a trade is posted) or by both PMing me the trade details. There is a trade deadline each season that starts at Week 12, and is in affect until after the Taco Bowl. During this period, players cannot be traded but keeper tags and draft picks can. Picks of Round 16 or higher cannot be traded, as those picks are considered compensatory. Picks more than four seasons in the future can also not be traded. I will not enforce any future or additional parts of a trade, so it is recommended that you not do this. After the draft is completed, Teams may sign Free Agents. Free Agents are handled on a first-come, first-serve basis. If you have no available slot to put the player, you must cut a player to sign one. Change your team's Coaching Philosophy. This can be done by posting on the thread, or PMing me personally (for private changes revealed on Game Day, highly recommended). Run Chance (max: 70, min: 30, default: 45): This determines how often, on a situation-unaffected play (teams will run or pass more depending on situation), your team will choose to do a running play instead of a passing play. Running Back 1 Chance (max: 80, min: 50, default: 65): This determines how often, when a running play is selected, that your 1st-string running back will take the carry. Warning: Players, especially RB, DO get tired as the game goes on, do not set too high! Field Goal Try (max: 60 [your own 40], min: 10, default: 35): This determines which yard line (NOT length of FG!) your team will try to kick a Field Goal instead of punting. Offensive Aggression (max: 100, min: 0, default: 50): Determines offensive aggression. Aggressive offenses have a greater chance of big plays, but are more prone to in-completions, turnovers, and plays resulting in losses (like sacks). Aggressive offenses are also more likely to go for it on 4th and short. Defensive Aggression (max: 100, min: 0, default: 50): Determines defensive aggression. Aggressive defenses have a greater chance in making big plays (like sacks, interceptions, or forced fumbles) but also have a larger chance of giving up big plays to the opponent's offense. Conservative defenses focus on tackling and forcing incompletes. Run Defense Priority (max: 100, min: 0, default: 50): Determines whether, on a situation-unaffected play, teams will focus more on stopping the run or the pass. A high value will result in defenses more likely to focus on stopping the run, a low value will focus defenses more on the pass. Defensive Formation (default: 4-3, either 4-3 or 3-4): Determines your defensive formation. A 4-3 allows you to start four defensive linemen and three linebackers. A 3-4 allows you to start three defensive linemen, and four linebackers. Return man (default: 3rd WR): Teams must set one of their Players to be their Kick/Punt Returner. This will be marked off as an asterisk in their Team listing. Practice squad players CAN fill this role. You can swap starters with practice squad players. This counts as a coaching philosophy since it can be done privately (unlike Trades and Signing/Cutting players). Stadium Name (default: Team's stadium): The Stadium's name. Has no effect on the Simulation, obviously. Stadium Type (default: Random): There are five types of stadiums you can choose from - Outdoor Grass, Outdoor Turf, Outdoor Dirt, Dome*, and Retractable Roof. The difference between Grass and Turf have very minor affects in the simulation engine, but in poor weather, a Grass field tends to become harder to play on. Dirt fields are a bit harder to play on for all players, and in the rain turn into muddy fields which can cause some significant problems. A Retractable Roof stadium usually behaves like an Outdoor Turf stadium, except in increment weather where it behaves like a Dome stadium (most of the time... sometimes the roof gets stuck open!). Timezone (default: Random): There are six timezones one can choose from: East Coast, Central, Mountain, Pacific, Europe, and Asia. Teams will be disadvantaged when playing in other time zones, with greater weight depending on the difference of distance. It is encouraged that you set the timezone to the location your team is located. For overseas teams, select Asia or Europe depending on which is closer. Temperature (max: 100, min: 0, default: Random): Temperature of the location of the stadium. A high number means that the stadium is in a HOT place (Like Ecuador). A low number means the stadium is in a COLD place (Like Alaska). Your team's ability to play in bad weather depends on their home location (a warm-weather team will have a hard time playing in really cold weather, and vice-versa). Precipitation (max: 100, min: 0, default: Random): Amount of precipitation the location typically gets. A high number means that there is a high chance of precipitation. A low chance means there is a very low chance of precipitation (like you live in a desert or something). Wind (max: 100, min: 0, default: Random): How windy your location is. The higher the number, the greater chance of windy conditions come game-time! *For Dome stadiums, please still include Temperature, Precipitation, and Wind data for the LOCATION of where your Stadium is built, even though these factors are not releavant for games played at your stadium. These values still affect how well your team can play in bad weather at other stadiums. In addition, teams may submit to me a 80x90 logo and a 22x95 endzone graphic for use in the Game Simulations to make them more visually pleasing. If you aren't skilled in image editing, you can still post something and I'll resize it as best I can. Also, you may select two team colors and of course your team's name! If you don't submit anything, I reserve the right to make them myself. I make most endzone logos myself, and most people seem pleased with the results. 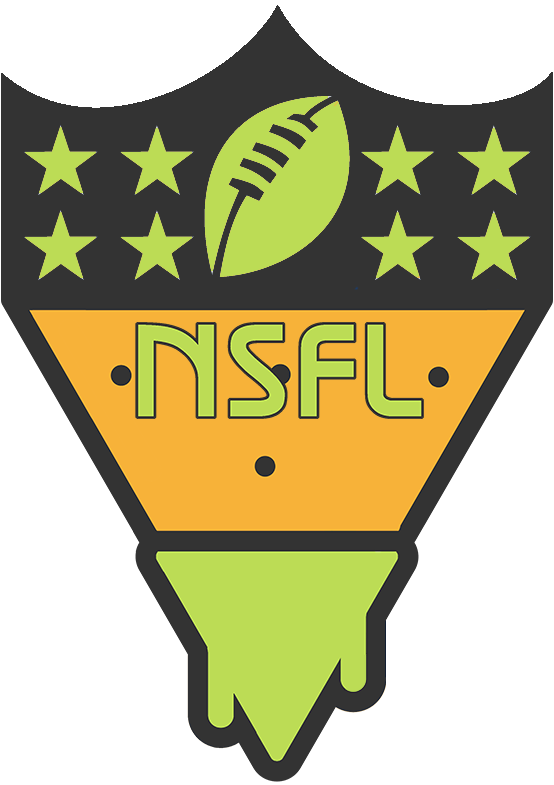 The NSFL runs bi-annually (twice per year) with a Winter season (after the Super Bowl) and a Summer season (after the NFL draft). Before the Winter season, Player's attributes will be updated taking into account his NFL stats from the previous year. Before the Summer season, incoming Rookies from the NFL draft will become available to be drafted. In addition, any new features to the Simulation engine will be available at the start of each new season, and will be announced and explained at that time. Rosters become locked after a team's last game is played. After that time, players cannot be Signed or Cut (but Trades can be made). Players can be maintained from season to season using Keeper Tags. Each team receives 20 Keeper Tags which they can use on Players as they see fit. Players of certain positions require more of a commitment to keep, and therefore require more Tags to keep. Obviously, this will lead to certain teams having more or less players than others going into the off-season. Keeper Tags, like Draft Selections, are considered an asset for a Team and therefore can be traded (but unused Tags are discarded at the end of the Keeper step)! *Rookies are considered any player who was a rookie in their last NFL season. PS players are considered any player who started in seven or less games the previous NSFL season. Only up to two PS or rookie keepers can be players who played in a game the previous NSFL season. Other PS or rookie players who played a game in the previous season will be charged by their positional price, at the position they spent the most time in during the season. In addition, players who are kept as a non-PS or rookie keeper the previous year are not eligible, and cost a minimum of what they cost the year before (for example, a QB keeper cannot be kept for 1 the previous season even if he spent the whole season on the PS). Players count as the position they spent the majority of the previous regular season as. In the event of a tie, the higher value is used. For example, if one has QB Matthew Stafford and started him for 7 games and had him on their practice squad for 9 games, he can be retained with a single Tag instead of 4. After a period where inactive GMs are replaced and Keepers are selected, a new draft will commence with all players not kept and, before a Summer season, new Rookie players. These drafts will not snake, and the ordering will be determined by last season's placing, with the Taco Bowl Champion selecting last, after the runner-up. Teams that have less players than others due to the Keeper Tag system will receive Bonus rounds at the end of the draft (in the same order) until all Teams have 30 players again. At that time, Rosters become unlocked and a new Season begins! x - Clinched playoff berth. z - Clinched homefield advantage. 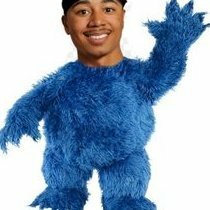 e - Eliminated from playoff contention. @ET80 ****s sake, I posted this in the wrong forum. Can you move it to Fantasy/Sim/GM Leagues? Thanks. Welcome to another league year. First and foremost, PLEASE MAKE SURE ALL TRADES DONE IN THE SEASON 16 THREAD WAS PROCESSED CORRETLY. You have until January 16th to have me look into/correct something. If you don't bring it up by that time, the OP becomes Bible. Please let me know ASAP if you are no longer interested in the league. Please confirm you are interested by posting here. Any questions let me know. It'll just be me this season. No Mike with me. So who’s posting their keepers first? I'll post my keepers now just due to the uncertainty of everything from now until the 4th. All other players are available for trade.